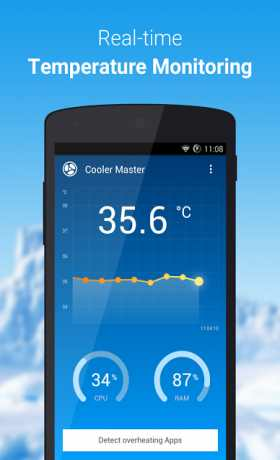 As the #1 Android professional phone temperature monitoring and controlling app that detects and closes heavy resource consuming apps to reduce CPU usage and cool down your phone (for android now). Monitors and logs phone temp. in real time, and displays temp. change curves. 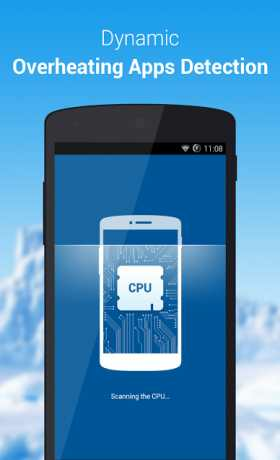 Analyzes CPU usage dynamically, and detects apps that are overusing CPU to determine the cause for phone overheating. 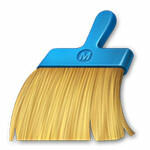 Allow you to close overheating apps with one simple tap to reduce CPU usage. 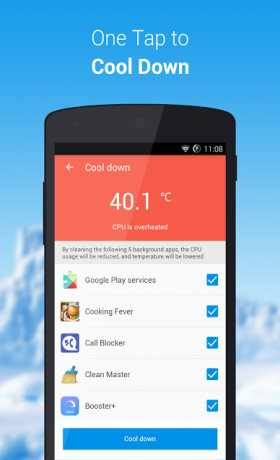 Closes apps that are likely to cause temperature rise, and prevents the phone temperature from rising. English, Simplified Chinese, Traditional Chinese, Spanish, Portuguese Brazil, Russian, Indonesian, Japanese, Korean, Turkish.